The family tree starts to get very convoluted with my great grandparents, Charles Alfred and Eliza Jane Shepherd. Eliza Jane Shepherd is a grand daughter of Lynn David & Elizabeth Shepherd (born to their daughter, Sarah). Charles Alfred is grandson of Lynn David & Elizabeth Shepherd (born to their son, Lynn (II)). This would make them first cousins. Eliza Jane Shepherd was born to Sarah Shepherd and John Thomas Travers in 1860 in Braidwood (BMD, NSW, Ref 5623). Eliza was the first daughter of the eight children they were to have (two children died in early infancy and were unnamed). At the time of her parent’s marriage, her father was working as a labourer at Mogo Mogo. Her father appears to have followed the pattern of many of the local workers alternating between farming and gold mining. After what would have been a long and debilitating illness her father died of tuberculosis in December 1867 (BMD, NSW, Ref 4509). Her mother, Sarah, was left a widow, with five children, three of them under ten and she was pregnant. Records show that on the death of her husband Sarah moved back to Braidwood to be closer to her family while she awaited the birth of her sixth child. Eliza Jane was seven years old when her father died and as the oldest girl would have been expected, even at that young age, to assume considerable responsibility for the care of her siblings and in undertaking household chores. There is no record of Eliza Jane until she was sixteen years old when she married twenty-five year old to Zenas James Kenton at Braidwood in 1876 (BMD, NSW, Ref 2182). Zenas was a carrier and may possibly have worked for the Shepherd family business. Their first child, a son who they named Zenas was born that year (BMD, NSW, Ref 9074) and christened at the Church of England in Braidwood on 2 September 1876. Eliza was left with her baby son, and it is likely that newly widowed, she returned to live with her widowed mother. Five years after the death of Zenas, Eliza remarried. Her new husband was her cousin. Charles Alfred Shepherd. Charles Alfred was the first child born to Lynn (II) and Harriett’s Shepherd. He was born on 16 December 1855, at Little River, Mongarlowe. More details of his childhood can be found in the story of his parents, Harriett and Lynn. Prior to his marriage, Charles worked under contract as a sawyer, timber felling in the South Coast of NSW. As much of the cedar had been removed earlier in the century he would have worked in the almost impenetrable parts of the forest to access the remaining stands of viable timbers. Along with his younger brother, Alexander, they undertook the backbreaking and arduous work of cutting timber and moving the logs by hand to timber wagons for transport to ports where ships would carry the timber to Sydney. The dense forest canopy would be dark even in the middle of the day and they would have worked under almost intolerable conditions with the constant dampness, mud, insects and snakes. It is not difficult to imagine their appearance, dirty, unshaven and forbidding, as they emerged from the forest for a trip to town for supplies …. and no doubt about of drinking. This life was to come to an end in 1878 when Charles was seriously injured by a falling tree and his brother, Alexander, was killed. Alexander was only 19 years old. The loss of his brother under such circumstances must have been devastating. His leg was broken along with other injuries and he was left “very much crippled” for the rest of his life (Braidwood Dispatch, 12 June 1897). Just over three years later records show that he had left the life of a timber cutter and at the time of his marriage, to Eliza Jane Shepherd, his occupation is described as a farmer and was living at Meroo, Little River, near Braidwood (BMD, NSW, Ref 3818). 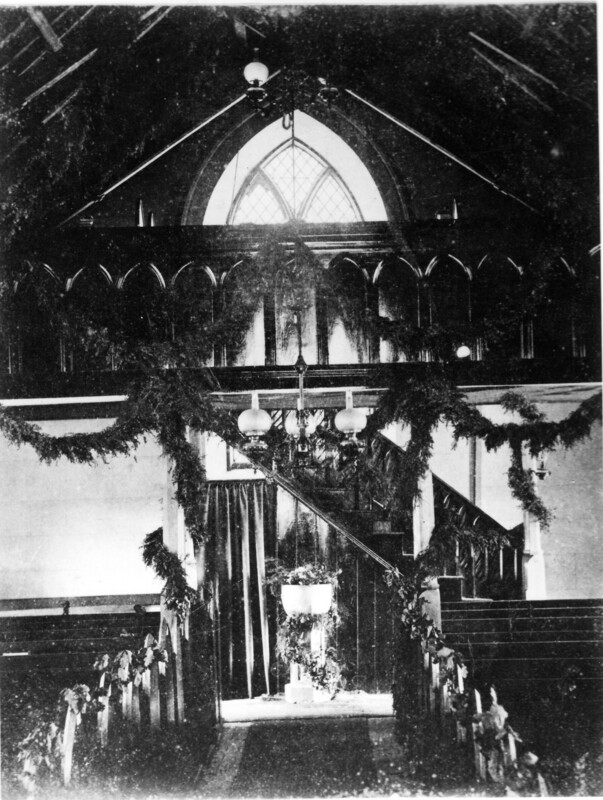 Charles and Eliza were married at St Andrews Church of England at Braidwood on 1 February 1882. When Alexander their first child was born on 14 November 1882, the couple were farming at Meroo (BMD, NSW, Ref 12888). With the birth of their first daughter Mable Elsie on 18 August 1884, Charles was now working as a road contractor, and the family was living in Braidwood (BMD, NSW, Ref 15311). Two years later they had moved again and he had returned to farming to support his family. On 10 October 1886, their next child, Sarah Beatrice was born at Monkittee (BMD, NSW, Ref 16661). Charles’occupation is recorded as a farmer. He was probably a tenant farmer on the property owned by Captain John Coghill. Tenant farming was becoming a more common practice in the colony by this time, especially in areas of large freehold estates with ready access to Sydney’s markets. These large estates were easily subdivided and rented out. There was a social dimension which marked farming as being second class because nearly all small farmers lacked capital, they could not raise livestock, could not purchase land and were compelled to rely on growing crops, subsisting upon the produce, or occasionally working for hire to the landlord. It has not been possible to find records that confirm this, however, there was mention of the family having a farm in this area, probably his uncle, Albert Shepherd, in the 1890s. Although 1897 was a drought year in the Braidwood region, in December of that year, the Braidwood Dispatch reported that the farms within the view of Clyde and Little River Roads at Monkittee, which included Shepherd’s, was “looking much better than expected and with little rain, they would give very good yields”. According to his daughter’s, Harriett’s, birth certificate, (BMD, NSW, Ref 16562) by 18 August 1889, Charles had once again moved with his family, still within the Braidwood area, to Durran Durra. It is likely that he was a tenant farmer on 2560 acres at Durran Durra owned by the Ryrie family. As a farmer, he would have battled the climate as they attempted to make themselves a home in the harsh Australian bush. To do this, showed no small amount of courage, patience, hope, physical strength and determination. Charles would have frequently been compelled to seek work in the neighbourhood at road-making or with his brother’s carrier business, in order to support his family as he attempted to make a living from the land. The life of a tenant farmer would have been extremely difficult and by 1891 the census records show Charles as living at Lascalle Street, Braidwood. This is where their last child Ruby was born on 6 July 1893 (BMD, NSW, Ref 7993). Charles and Eliza had returned to the town where Charles was working as a carrier perhaps for his brother, Lynn. Living in the township the family was now expected to conform to regulations such as school attendance for the children. The Braidwood Dispatch, of 17 April 1897, reported on school truancy and Charles was fined 2s6d for not sending his child to school for the fixed attendance period, by law, of 70 days. The child (unidentified) had attended school for less than 64 ½ days. The punishment appears severe given their poverty and the fact that Charles was already seriously ill with a “lung inflammation” due in no small part to the “exposure and hardship on the road” as a carrier. Fundraising for family reported in 1897 in “The Braidwood Dispatch” . Charles died at Braidwood, from pneumonia on 9 June 1897, leaving Eliza, at the age of thirty-six, a widow once again (BMD, NSW, Ref 4129). Charles was described in his obituary as “a very honest, persevering man and greatly respected” (The Braidwood Dispatch, 12 Jun 1897). At the time of his death, their eldest child was about fifteen and the youngest four. Eliza’s eldest son, Zenas, was twenty. My grandmother, Sarah Beatrice, was ten years of age. Eliza was left in such dire financial straits following the death of her husband that a “charitable reunion” was held to raise money to help the family. 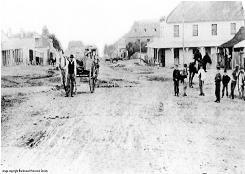 Wallace Street Braidwood in the late 1800s. The streets routinely bogged with mud in winter, making the village approaches very dangerous for horses and pedestrians alike. Source: Braidwood and District Historical Society. In 1905 the family were still living at Braidwood in Wallace Street and their circumstances had not improved. The Braidwood Dispatch reported the death of Eliza’s 15-year-old daughter, Harriett, from pneumonia, a complication of influenza in October 1905. The family were described as being in very poor circumstances and “well worthy of some little pecuniary help in their hour of need, or rather we had better say in their hour of extreme distress, for they have been very much in need for many a year, as may be well imagined with regard to such an unfortunate household”.